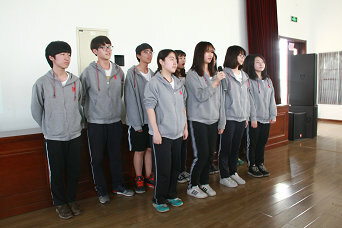 May 14, 2015 in the afternoon, the InternationalDepartment of Beijing NO.80 High School held the Choir Competition in themultiple-function hall. 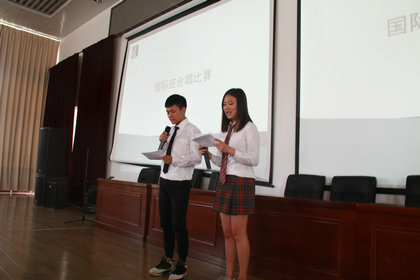 Students from grade 1 and grade 2 participated in thecontest, and invited some directors and teachers such asMs.Cui,Mr.Xu,Ms.Huang,Ms.Zhang,and Ms.Lei as the competition judges. 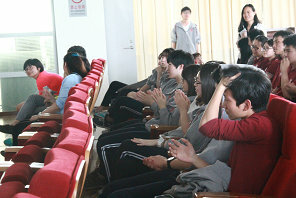 The competitionwas anchored by LV SHIJUN and WEN SHUYING from class11-C3. After a brief statement, the competition began. With the familiarmelodies, each student's sang the anthem "Dreams will be realized"full of warmth, showing their love to their alma mater. In the part of theclass song, class 10-C1 brought us the "Initial dream" and presenteda firm desire to the dream as well as their friendship. 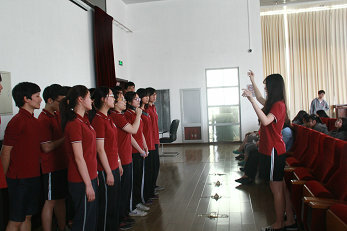 Class 11-C2 creativelyadapted the song "I'm sorry my Chinese is not good". 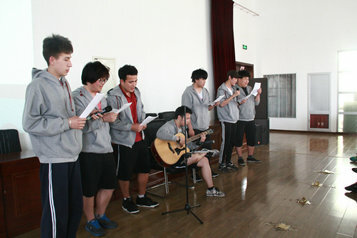 With the beautiful guitar accompaniment ,they sang their song in a humorous tone and won the first prize in the competition for their tacitunderstanding and outstanding stage presence .The students of class 11-C3gently swaying with the music, full of youthful rendition, sang the "RedDragonfly", and joined the recitation elements. 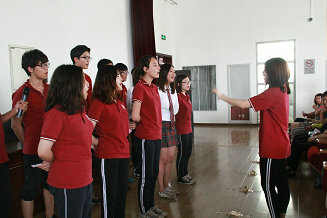 In the end of the song,they also unexpectedly flied the colorful paper airplanes, which was loved byall the audiences. 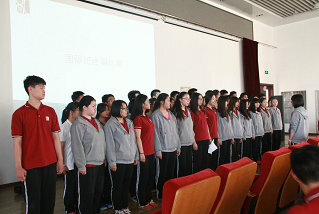 10-C2 and 11-C1 class sang the song "Days of BeijingEast Road” and "love." 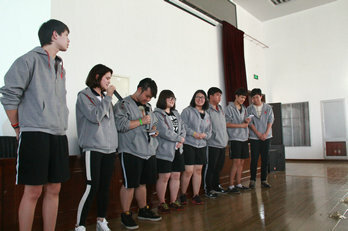 After the competition, students fromsino-foreign cooperative class gave a specialperformance, sang the school song, and "Where's the time", expressedthe love for their parents touchingly, and teacher Xu made a wonderful reviewat the end of the competition. Students’carefully prepared and the solidarity of them is the significance of thiscompetition, regardless of the results of the competition, we believe thatwe’ve all enjoyed the process. Hope that we can add persistent efforts, theirown ideas and creativity to our rich extracurricular life, so that we canpresent our youth and vigor perfectly.